My husband ordered some shirts with French cuffs from Macy’s. They arrived today. 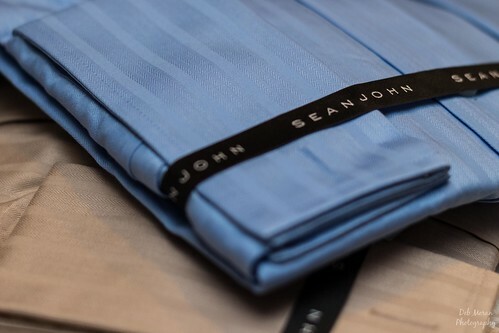 The designer is Sean John. ME: Do you know who Sean John is? ME: You bought P. Diddy shirts on purpose? HIM: It was that, or Donald Trump. Now, if you’ll excuse me, I need to go buy some Jessica Simpson stilettos.